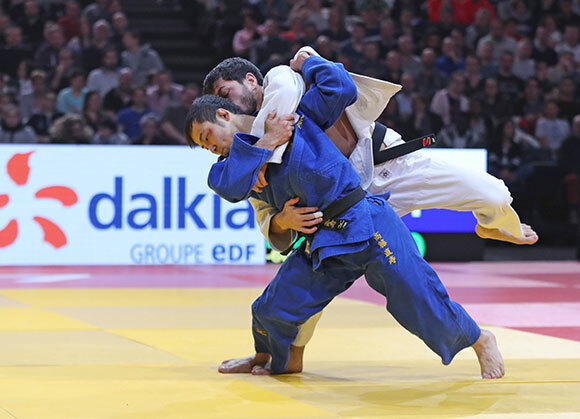 The IJF World Judo Tour 2017 launched in style on Saturday as the Paris Grand Slam, one of the marquee events in the sport, marked the start of a new campaign in front of 11,000 fans at the AccorHotels Arena on day one in the French capital. Paris’ unparalleled stage and the presence of the sport in this majestic city offered the perfect location for new judoka to introduce themselves to a knowledgeable and passionate audience while current champions returned to begin a new journey as judoka of all ages got to grips with the new set of rules. 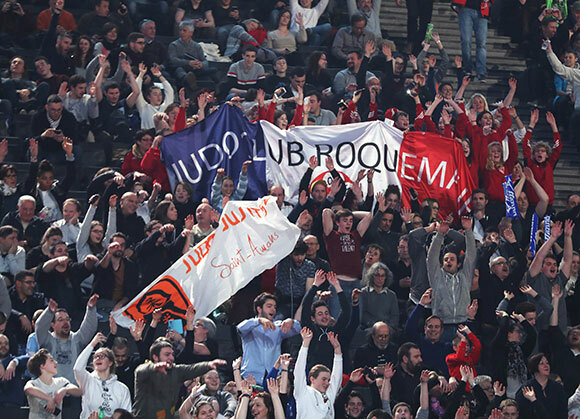 The two-day judo festival opened on Saturday with Olympic and world champions in action at the AccorHotels Arena as the French Judo Federation’s annual supershow has attracted 412 judoka from 61 countries. #JudoParis2017 was the number one trend in France on Twitter as one of the sport’s strongest nations and one of judo’s most celebrated events was the most talked about subject in the entire country during a stacked day of international sport. On Sunday the heavyweight elite will grace the tatami with the seven remaining weight categories ready to be called into action. 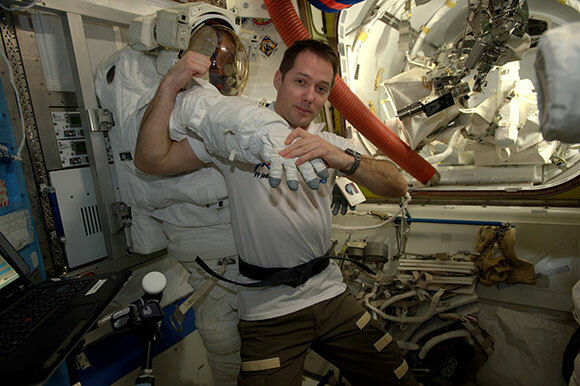 At the same time, French Astronaut from the European Space Agency and black belt judoka was practicing his judo techniques from space as earlier during the day, he wished good luck to all participants of the Grand Slam. Former world champion MUNKHBAT Urantsetseg (MGL) came into the competition as her team’s most experienced judoka in Paris and gave it her all as always but came up short against Rio 2016 Olympic silver medallist JEONG Bokyeong (KOR). The South Korean evaded a sode-tsurikomi-goshi which was the first serious attack in the contest and with no scores registered the contest continued into golden score. An additional two minutes was required to separate the -48kg standouts as the Mongolian was penalised to give the first gold in Paris to JEONG who is now playing a starring role for her team. 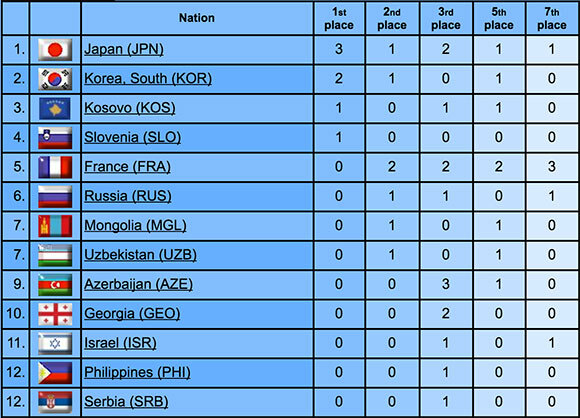 In the first semi-final former world champion MUNKHBAT beat Julia FIGUEROA (ESP) by ippon with a morote-seoi-nage. In the second semi-final JEONG raced past KONDO Ami (JPN) in just 25 seconds in a crushing defeat for the Japanese judoka. 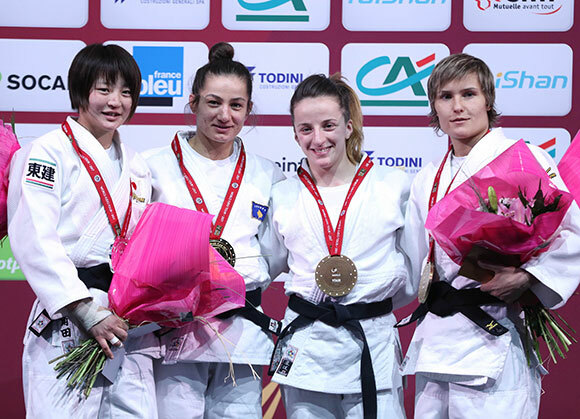 The first bronze medal contest saw KONDO bounce back in Paris as she beat a stubborn 18-year-old Paris debutant Anais MOSDIER (FRA) by a single waza-ari. The effort of the young French fighter, who was making her senior debut, was applauded by the home fans while KONDO maintained and added to her standing as one of the top judoka in the women’s lightest weight category even though she came to France for gold. The second bronze medal contest opposed world number 12 Milica NIKOLIC (SRB) and beaten semi-finalist FIGUEROA. The pocket dynamo from Spain lost out to a waza-ari from a te-waza movement as Serbian NIKOLIC continues to perform wonders and will now break into the top 10. 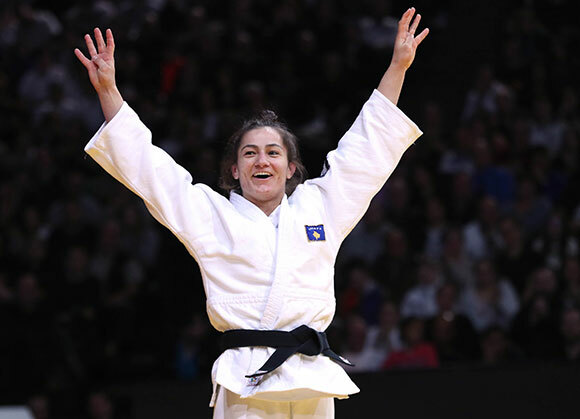 Rio 2016 Olympic champion Majlinda KELMENDI won her fourth consecutive Paris Grand Slam gold medal as the all-conquering Kosovo hero was unbeatable again in France. In the final KELMENDI was too powerful for TSUNODA Natsumi (JPN) who saw a weak ouchi-gari attempt countered by her formidable foe for a waza-ari which was the difference after four minutes of action which was beautifully dictated by the champion of champions. In the first semi-final KELMENDI saw off Angelica DELGADO (USA) by two waza-ari scores with the second coming from a well-timed uchi-mata. 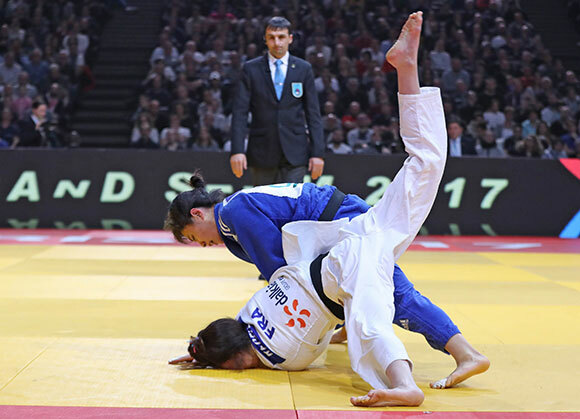 In the second semi-final Tokyo Grand Slam winner TSUNODA stopped the Kosovo team from contesting the final between themselves as the Japanese defeated Distria KRASNIQI (KOS) by a waza-ari. The first bronze medal contest opposed KRASNIQI and Abu Dhabi Grand Slam winner Astride GNETO (FRA) and it was the visitor who left with the medal by ippon after just one minute. In the second bronze medal contest Rio 2016 Olympic bronze medallist Natalia KUZIUTINA (RUS) held down Abu Dhabi Grand Slam runner-up DELGADO with a kami-shiho-gatame for 20 seconds and ippon. 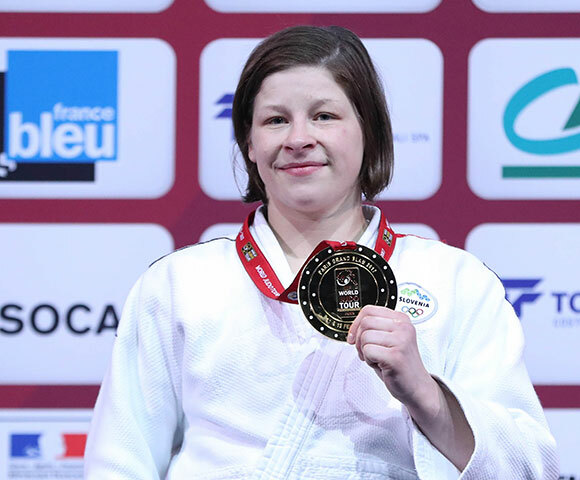 Abu Dhabi Grand Slam winner Helene RECEVEAUX (FRA) produced her best ever result in Paris but still it was not enough for gold as world number 83 KWON selected the season opener to break through at the top level. The 21-year-old, who was competing in only her second Grand Slam, won her first IJF World Judo Tour medal as she frustrated the French crowd and their world number two RECEVEAUX as the South Korean registered two waza-ari scores without reply. In the first semi-final RECEVEAUX stamped her name as the top French judoka at -57kg as she brushed aside London 2012 Olympic bronze medallist Priscila GNETO (FRA). RECEVEAUX won with a uchi-mata and lapped up the home atmosphere after a crucial victory. In the second semi-final KWON shocked five-time Grand Slam winner and favourite YOSHIDA Tsukasa (JPN). A waza-ari after two minutes of added time gave the contest to the South Korean. 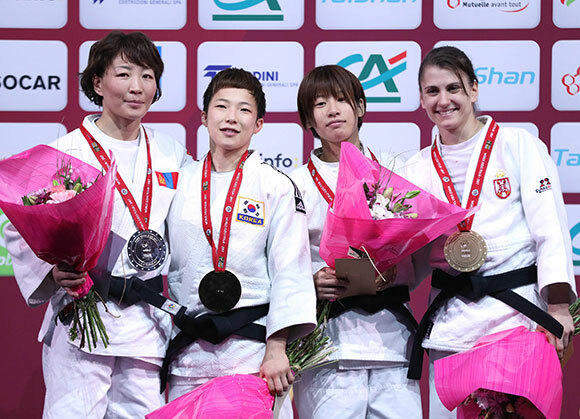 The first bronze medal was won by YOSHIDA who recovered from her unexpected semi-final defeat to thwart Sofia European Open bronze medallist Nora GJAKOVA (KOS) by a waza-ari. The second bronze medal was won by GNETO who defeated Rio 2016 Olympic champion Rafaela SILVA (BRA). 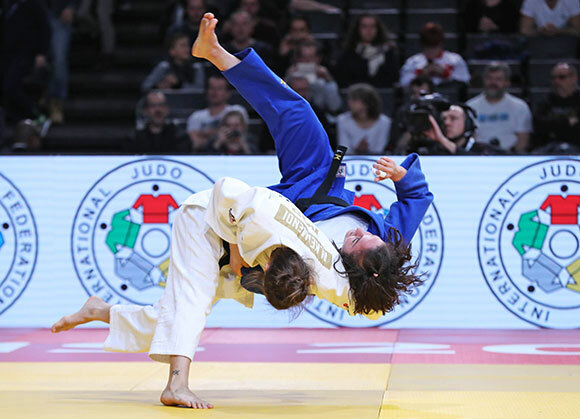 Carioca SILVA, who lost her quarter-final to KWON, could not live up to her gold backpatch this time around as she was thrown with a drop seoi-nage for a waza-ari. The Brazilian landed in a position to apply a juji-gatame but GNETO was quick to defend and escaped any danger. GNETO rolled her opponent from the ground for a second waza-ari and celebrated her best result since moving up to -57kg in October. The anticipated Rio 2016 Olympic final rematch came in the final contest on day one as Tina TRSTENJAK defeated Clarisse AGBEGNENOU (FRA). In a fitting end to a fantastic day of judo, the world, European and Olympic champion from Slovenia, who is one of the most well-drilled judoka in the sport, shut out powerhouse AGBEGNENOU at every turn, a feat which not a single other judoka would be expected to be capable of. TRSTENJAK held down the French flyer with a tate-shiho-gatame for 20 seconds and ippon as the accolades are coming thick and fast for Slovenia’s assuming champion. In the first semi-final TRSTENJAK absorbed and then dispatched Margaux PINOT (FRA) by two waza-ari scores while in the second semi-final AGBEGNENOU (FRA) downed youngster WATANABE Kiyomi (PHI) by a waza-ari. 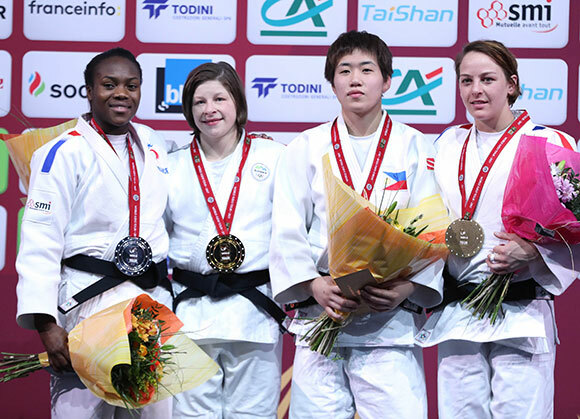 In the first bronze medal contest 20-year-old Kiyomi WATANABE beat 21-year-old Qingdao Grand Prix runner-up Lucy RENSHALL (GBR) by the maximum score as she won the Philippines’ first ever medal on the IJF World Judo Tour. 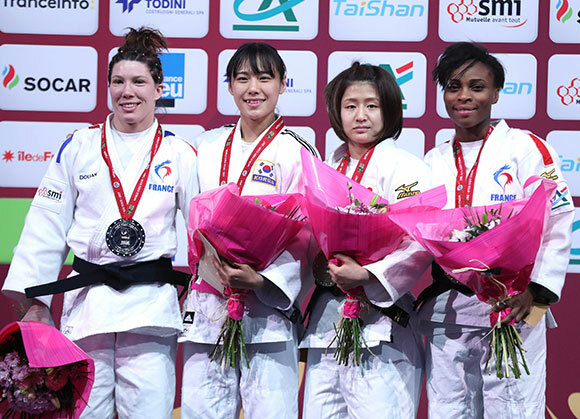 The second bronze medal contest saw Tokyo Grand Slam bronze medallist PINOT rule over Tyumen Grand Slam winner NOUCHI Aimi (JPN) as the latter received hansoku-make for her third shido. 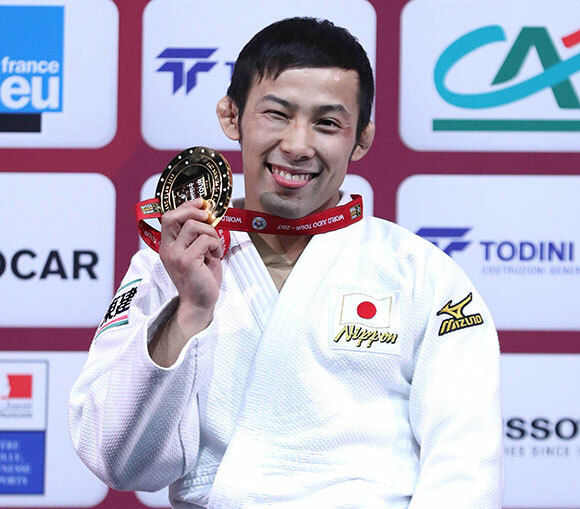 Rio 2016 Olympic bronze medallist TAKATO Naohisa (JPN) started his year in thrilling fashion as he won the Paris tournament for the third time. 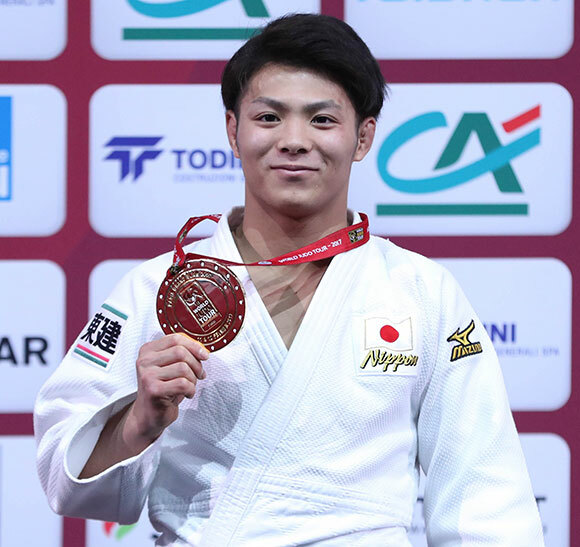 The Japanese ace defeated Tashkent Grand Prix bronze medallist Sharafuddin LUTFILLAEV (UZB) in the final to secure a hat-trick of victories in France at just 23 years of age. 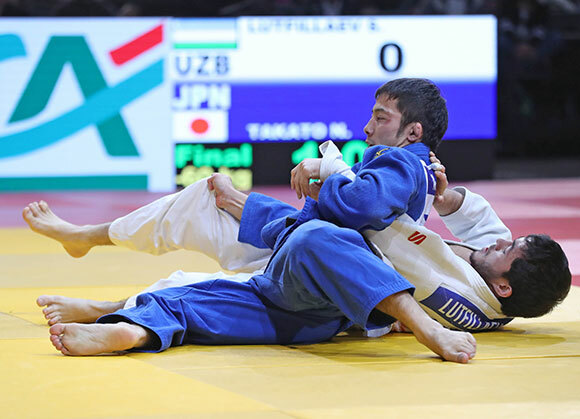 TAKATO, who beat the Uzbek in their one previous meeting at the World Judo Masters in 2015, opened the scoring with a waza-ari from a ko-uchi-gari before pinning his opponent with a ushiro-kesa-gatame which was enough to make LUTFILLAEV submit after 16 seconds. TAKATO waved three fingers on both hands to the crowd as he continued his remarkable run in Paris with gold medals in 2013, 2015 and now 2017. In the first semi-final KIM Channyeong (KOR) was defeated by LUTFILLAEV on shido penalties while in the second semi-final World Judo Masters winner Orkhan SAFAROV (AZE) succumb to TAKATO by ippon with 10 seconds left on the clock. 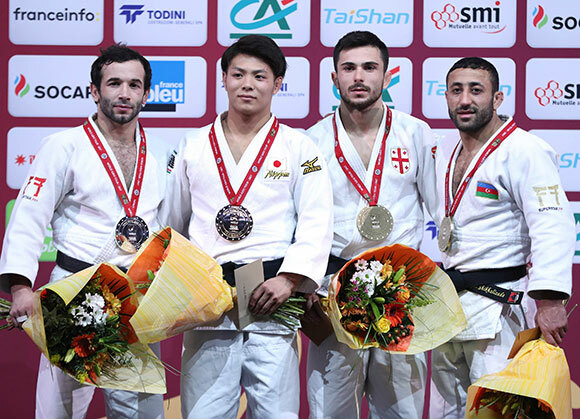 The first bronze medal contest was won by former world number one SAFAROV who recorded the only score of the contest to defeat Eric TAKABATAKE (BRA) by a waza-ari for a third career Grand Slam medal. 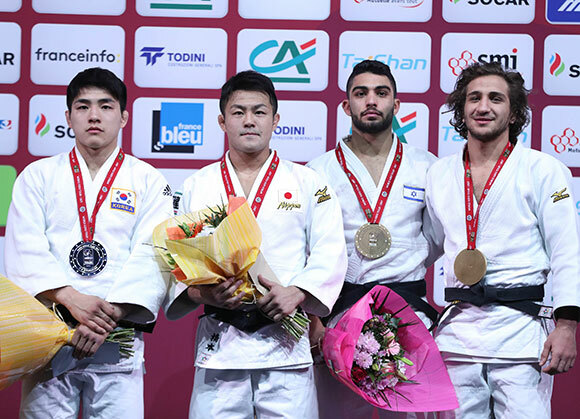 The second bronze medal contest saw former European champion Amiran PAPINASHVILI (GEO) win his ninth Grand Slam medal as he turned South Korean KIM for a waza-ari score. Youth Olympic Games winner ABE Hifumi (JPN) grabbed his first chance to perform at one of the sport’s flagship events with both hands as the 19-year-old sensation won the fourth Grand Slam gold medal of his career. ABE outperformed Qingdao Grand Prix silver medallist Anzaur ARDANOV (RUS) for all four minutes as he struck with five seconds left with a sode-tsuriukomi-goshi for a waza-ari score. In the first semi-final ABE dismissed Pan-American Championships bronze medallist Antoine BOUCHARD (CAN) with a fantastic morote-seoi-nage after just one minute. The subsequent semi-final saw ARDANOV sweep past GANBOLD Kherlen (MGL) by ippon after two minutes. In the first bronze medal contest European champion Vazha MARGVELASHVILI (GEO) bested GANBOLD by a waza-ari to break his Grand Slam duck as the Georgian made a bright start to 2017 with his home event, the Tbilisi Grand Prix, coming up in March. The second bronze medal went to World Judo Masters bronze medallist Nijat SHIKHALIZADA (AZE) who defeated BOUCHARD with two waza-ari. The Azeri star launched the dogged Canadian backwards with a osoto-gari which was the pick of the throws as SHIKHALIZADA showed his worth. 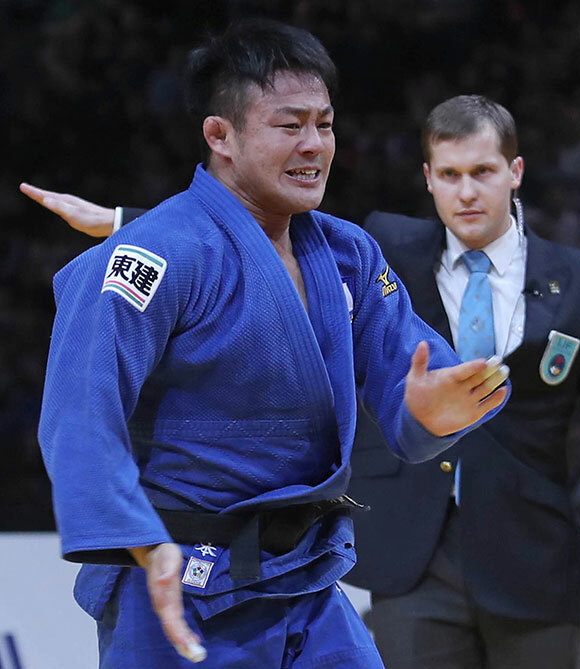 World Judo Masters winner HASHIMOTO Shoichi (JPN) illustrated that he is more than a high-quality deputy for the absent Olympic and world champion ONO Shohei (JPN) and a world contender in his own right as he won his fifth successive competition. World number two HASHIMOTO, who has closed the gap on the world leader Rustam ORUJOV (AZE), needed an extra 26 seconds of golden score to defeat world bronze medallist and defending Paris champion AN Changrim (KOR). In the first semi-final Rio 2016 Olympic silver medallist Rustam ORUJOV (AZE) fell to AN by a waza-ari after 31 seconds of golden score while in the second semi-final the in-form HASHIMOTO defeated Tohar BUTBUL (ISR) by two waza-ari scored which went unanswered. 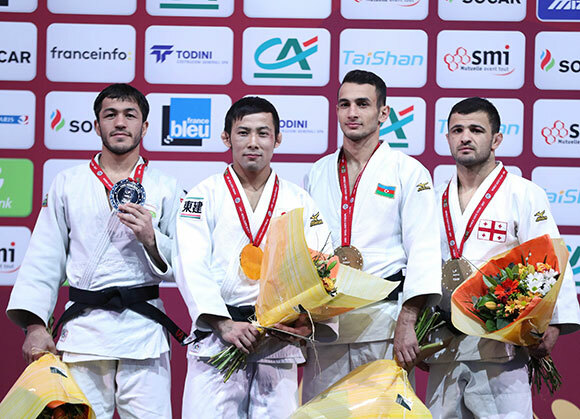 The first bronze medal was won by European u23 Championships silver medallist Tohar BUTBUL (ISR) against Tokyo Grand Slam bronze medallist Giyosjon BOBOEV (UZB) by a waza-ari score. The 23-year-old could now become a regular feature on the IJF World Judo Tour after swooping for his first medal at this level. The second and last male bronze medal contest was an all-Azerbaijan duel as Rio 2016 Olympic silver medallist Rustam ORUJOV (AZE) squared off against European u23 Championships winner Hidayat HEYDAROV (AZE). After four minutes HEYDAROV had one shido and ORUJOV had two shidos, with no scores registered, which meant the battle moved into golden score as a contest can now only be decided by a technical score in regulation time. The teenager managed to catch his role model and teammate for a match-winning waza-ari to become of the youngest medallists at the Paris Grand Slam.